TAMPA, Fla. -- Retired Army Col. Derek Harvey, an internationally renowned analyst of social, cultural, political and conflict issues, has joined the University of South Florida College of Arts and Sciences Citizenship Initiative (CI) as Professor of Practice and Director of Research and Strategy. Most recently, Harvey set up and directed the Afghanistan-Pakistan Center of Excellence (COE) after being appointed by the Central Command Commander, Gen. David Petraeus, in 2009. But his experience goes much deeper than that, having practically single-handedly re-shaped intelligence analysis, from policy to the tactical levels, for the contemporary challenges of modern conflict. “I am absolutely delighted that Derek has joined us,” said David Jacobson, the director of the Citizenship Initiative. “In all my nearly 25 years of work as a social scientist, I have simply not met anyone who so brilliantly can understand, holistically, the dynamics of human life, from the broad, global trends to the level of personal interaction. Further he fluidly and effectively moves from theoretical analysis to practical applications, from policy to implementation. Harvey was credited for sounding the alarm on the growing insurgency in Iraq in 2003, despite optimistic assessments by U.S. government officials at the most senior levels; Many have credited him developing the strategy and being the architect behind the Sunni Awakening and the defeat of Al Qaida in Iraq. Harvey is something of the hero of Bob Woodward’s book “The War Within.” Woodward described how Harvey had effectively moved among the tribes of Iraq, and developed the deep cultural and social understanding so lacking in much of government and even academic disciplines. According to the St Louis Post Dispatch April 7, 2008 issue, “Derek Harvey has operated beneath the public radar for the entire Iraq war yet is regarded by many as the single most-informed American on military developments in Iraq. For the past 15 months, as Petraeus’ senior civilian adviser, Harvey has been a prime advocate -- and architect -- of the troop surge and altered policies credited with reducing violence in Iraq. “Harvey is hands down the very best intelligence analyst that the United States government has on Iraq,” said former Army Vice Chief of Staff Gen. Jack Keane. “He has been right from late ’03 all the way…up to the present. Not everybody has listened to Harvey, but Gen. Petraeus has, and so he’s making a difference,” said Keane, who retired but is now a member of the Pentagon’s Defense Policy Board, an advisory panel. Harvey’s experience and skills go well beyond that which has been written about in media and books. He has extensive experience in policy development, strategic planning, designing analytical studies and writing estimates and key policy papers for inter-agency planning and national-level decision-makers. He has engaged U.S. Congress and Executive Branch on Iraq, Afghanistan, Pakistan and a range of Middle East issues and briefed the president and NSC principals. 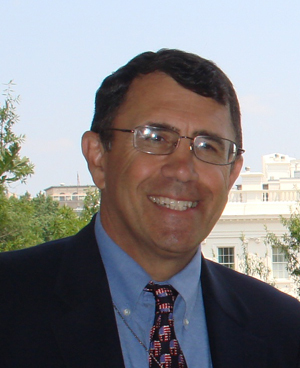 Harvey provided analytical and policy counsel to both the Multi-National Forces-Iraq and to commanders and staffs in 2003-04 and from late 2006 to mid-2009. He routinely participated in senior level consultative discussions, assisted in shaping strategy, provided threat and political assessments, prescriptive analysis, options and policy advice. He represented the commander in engagements/liaison with a range of Iraqi officials and civilian leaders to include tribal leaders, business leaders and insurgents. He retired from the U.S. Army as a colonel in 2006 after serving primarily as a Middle East Foreign Area Officer and intelligence officer. Prior to joining the Defense Intelligence Agency in 2006, he was the Iraq Senior Analyst, Joint Staff, Pentagon, in late 2004 to early 2006. Previously, he was Chief, Commander’s Assessments and Initiatives Group, Senior Intelligence Analyst for the Intelligence Fusion Center, and “Red Cell” Team Chief for Combined Joint Task Force-7 and Multi-National Force-Iraq. He supported policy development and strategic planning. He briefed the president and NSC principals; supported the Joint Chiefs Chairman’s Iraq Strategic Review; consulted for the Iraq Study Group; and completed a Multi-National Corps campaign review. While assigned to the United States Forces Korea from 1992-1996, he worked in a number of positions to include Chief, Combined Intelligence Operations Center; Chief, Ground Force Analysis Division, and Chief, Estimates and Plans Branch. While assigned to the Defense Intelligence Agency and Joint Staff J2 from 1989 to 1993, he worked in the Iraq Task Force and the Middle East Branch. Previously, he served in the Army Defense Attache Office, U.S. Embassy, Rabat, Morocco. A native of Elmhurst, Ill., Harvey undertook doctoral level work in Middle East studies at the University of Utah. Harvey was the Army Senior Fellow to the U.S. State Department, and also attended the Harvard University John F. Kennedy School of Government, Intelligence & Policy Program. He is a graduate of the L’Ecole d’Etat Majeur, the Moroccan Staff College. His U.S. Military education includes the Military Attache Course, U.S. Army Command and General Staff College, Foreign Area Officer Course-Middle East/North Africa, Armor Advance Course, Infantry Officer Basic Course and Airborne/Ranger Schools. Harvey has been a presenter at symposiums and academic oriented panels to include Council of Foreign Relations, Harvard University’s Carr Center for Human Rights Policy, Center Strategic and International Studies (CSIS), Rand, Institute for the Study of War, Center for New American Security and other organizations.